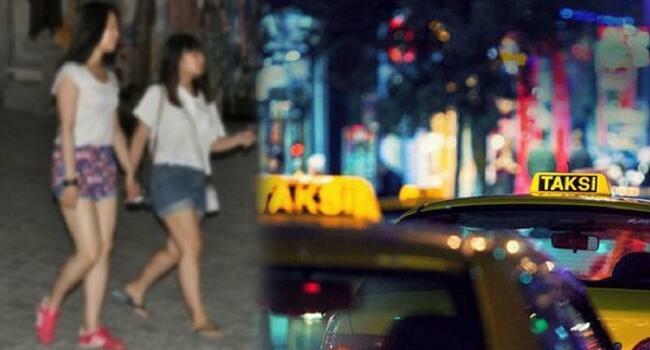 A taxi driver in Istanbul may be jailed up to five years for overcharging an Iraqi tourist and her Turkish friend. The Istanbul Criminal Court of First Instance accepted the prosecutor’s indictment against the driver, a 41-year-old identified only as Murat E., who was accused of “fraud” for charging 213 Turkish Liras for a fare between İstinye and Beşiktaş districts in March. The usual fare is 40-50 Turkish Liras. When Shato M. from Iraq and her Turkish friend Emine D. asked why the fare was so expensive, the driver simply pointed to the taximeter and insisted them to pay, according to the customers. The Iraqi tourist also told the court that she lost her phone in the car. After she searched the car and could not find it, the tourist asked the driver for his phone number, so that she can reach him if he finds the phone. “He gave me wrong numbers twice,” she said. “I got confused on the way, so it took longer than usual. I told them they may not pay anything, but they insisted to pay,” the driver told the court, while admitting that he gave them wrong phone numbers but did not steal the phone. The prosecutors asked the court to jail Murat E. from one year to five years and fine him for the total pay of 5,000 days. According to official data, in the first half of 2018, nearly 6 million tourists visited the city. But the city’s visitors are unhappy with the taxi drivers who intentionally overcharge them. “Let’s say I am supposed to pay 20 Turkish Liras for a trip. I hand the driver a 100 Turkish Lira banknote. But the driver says ‘no, you gave me 50’ and insists on that,” one tourist told Demirören News Agency in August. Turkish police recently increased presence and inspections in Istanbul’s main tourist areas to monitor overcharging taxis.